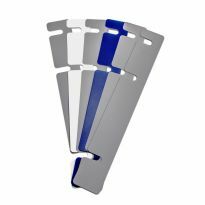 Get a cleaner shop and safer, more consistent routing with this convenient 4-piece accessory kit! 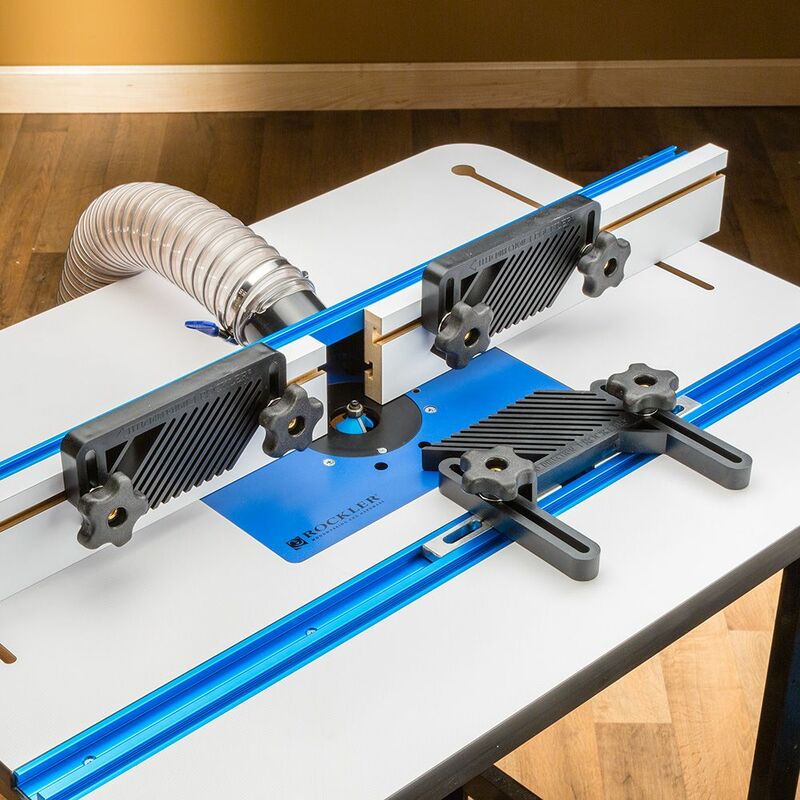 Our 4-Piece Router Table Accessory Kit includes an easy-mount dust port, plus three featherboards for more consistent cut quality and to help prevent kickback. Two of the featherboards mount to the fence, exerting pressure down toward the table, while the third mounts to the table and keeps your work against the fence. Love it. Yes, I would recommend. It went together very easily, and even though I have not used it yet, I think it will be just fine. Excellent quality and a perfect fit for my router table. Would recommend these to anyone. Perfect for my Bench Dog router table. Excellent fit and excellent quality. Haven’t used them long but they appear to be able to last for a long time. I would recommend these to anyone. And they arrived early. everything fits and works great. Excellent featherboards and I bought this on sale (50% off) but I don't think I would have purchased this at full price. Perfect accessories for this table, it makes this set a good bang for your buck. Would buy this again! Now I have the same safety/convenience at my router table. One drawback; I have to remove the vertical hold downs for longer pieces. Wish there was more vertical clearance. I find them essential now that I have been using them. Great accessory. Makes using the table safer and routing e easier. Perfect compliment to any router table. Makes any router table better. I also got the rockler pro lift I got with the router table work good. It does exactly what it's designed for. Very good product. Featherboards hold work in place for accurate routing, and the vacuum attachment collects the dust . Nice addition to my router table. I like the dust pick-up. These are an accessory that will come in handy for sure. Glad I purchased them. I haven't used them yet, so I dont feel that I should comment on how well they function, but they seem to be well made for long term use. Rigged both hold-downs and the flat featherboard in about three minutes. 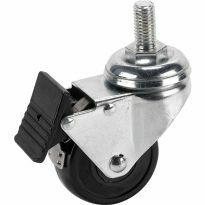 Has been very handy for re-milling a substantial pile of maple flooring safely and quickly. 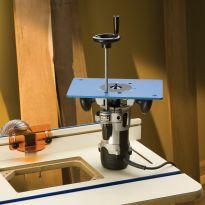 A great accessory kit to the router table! Perfect fit for router table. Quite functional. Well made. Impressed with the whole thing over all. Bought this setup at Christmas and I would like to say it's the best table I've ever owned. Cheaper than losing a finger, easy to use. Very versatile. 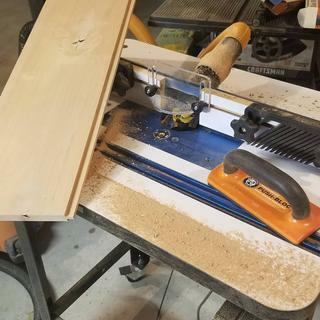 The featherboards work great on my table saw as well as my router table. They have a great range of adjustment. Would definitely recommend this product. Beginner here. Table was easy and fun! You can never have too much safety gear, especially on a router table. Well worth the price! High quality. Built a complete router/table/cabinet and used only Rockler metal/plastic. Purchased to use on my kreg router table. Note: I had to grind about two millimeters off the bolt heads so they would fit my T-track slots. Good quality and work as they should. Nice to be able to find accessories at a reasonable price. Perfect accessory - and what table does not look better with accessories. Just a nice table but these accessories make it the best. 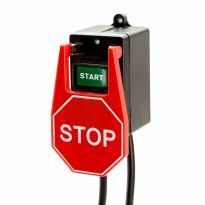 Easy to use install and actually makes operation safer- and in the end that is what really matters. Good quality, a must purchase. A must purchase for a router table. Wish that I would have bought it sooner. Great accessory! Very reasonable price for hold downs that affect the safety and consistently of my router table production. I use mine all the time. Quality kit, good versatility. easily adjusts and holds position. Also have useful on tablesaw and bandsaw for some setups. great value. If you buy their router table , you will definitely want this item , the dust collector port works great. 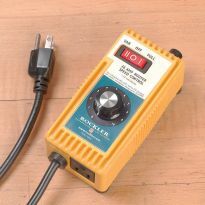 Very handy to have with your Rockler package. 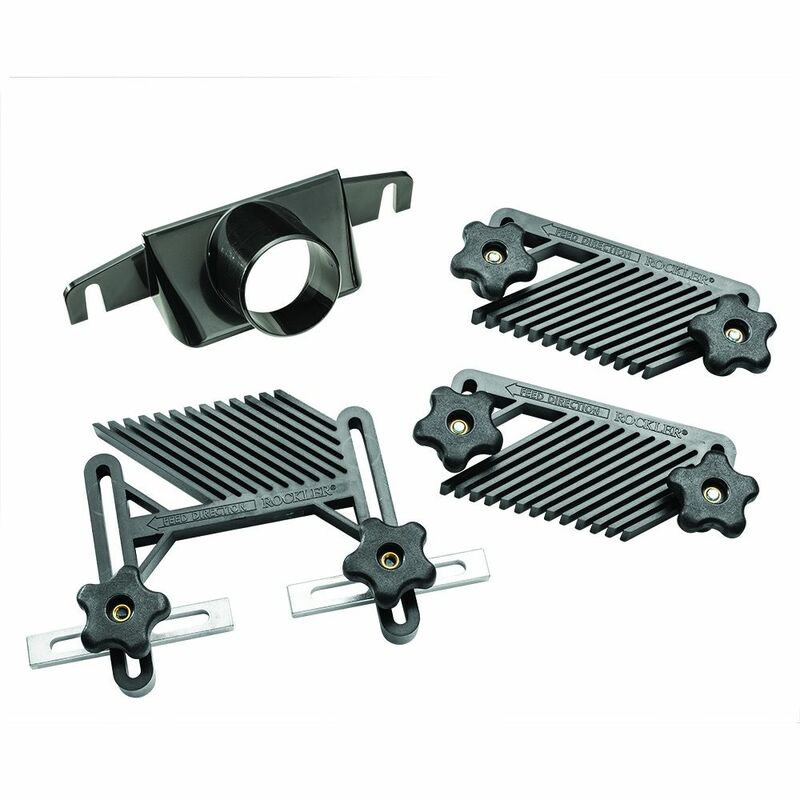 These accessories are a must for a router table set-up. The feather boards work great by holding the wood against the router and increasing safety. Absolutely love my new table and FX lift. The service we received was exceptionally noteworthy. Our sales associate was extremely knowledge and helpful. We live in North Richland Hills and drive to the Richardson store to continue receiving the service from Jay! By taking the time to explain different products and options available to us, we feel we were able to make the best decision. We never felt pressured to buy the most expensive items but rather what suited our need. I highly recommend Rockler to all of my family and friends. You've easily acquired a life-long customer. Bought an incomplete new rockler table at a habitat for humanity store. Didn't have jigs to hold wood in place. Plus bought the hands off safety switch. No explanation needed for this item. 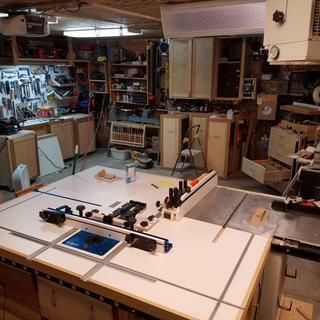 I am building a router table and the plans I have recommended it. Just bought your router table set. Forgot to buy this kit also. Has all the accessories I need in one package. Trying you out for possibly more purchases. just built a router table. I want more safety while using my router table. Great price for the kit. Should also sell this labeled for use with a table saw with a fence attachment that uses a t-track and fence clamps. Building a new router table and needed everything this kit has to offer at less than individual prices. It was onsale and matches the router table I plan on buying. Very nice router table accessory kit for the money. Just set up new Rockler router table and lift. This will add to the usability. Added accessory kit to go with the router fence I just ordered. Don't tell my wife. I dont have any and needed a set. Great price. I needed an accessory pack for my tabletop router table. This set fits the bill. Needed this for holding down items on my router. 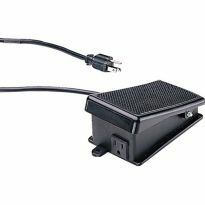 What's the difference between this and SKU 56764? 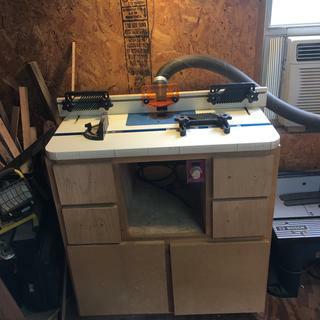 I have a bench dog router table for my Saw Stop table saw. Will this kit fit it? Does this fit the Basic Router Table or Rockler's older series of tables? BEST ANSWER: Yes these will fit the older Rockler router tables. What is the difference between this one and the less expensive set for 39.99? Best wood working equipment to buy to start shop? BEST ANSWER: Depends what other power tools you already own. 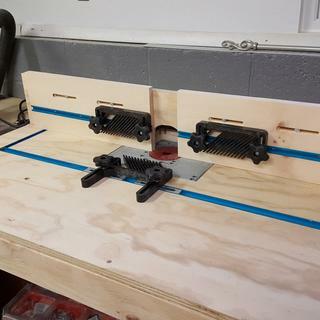 The most basic starting point is a power saw of course, but if you have a router table (I have a Rockler phenolic router table) and purchased the router table accessory kit when I undertook a project to build a king size headboard. I had to route/shape long molding for the headboard and did not realish keeping my fingers near the router bit while handling an 8 foot long board. The kit helped immensely. What is the distance between the vertical slots on the fence boards? BEST ANSWER: The fence spacing is adjustable. Each fence has a pair of knurled knobs on the back that allow you keep as little clearance from the router bit as you wish, and also to leave enough space for the vacuum attachment to pull sawdust between the fences. 2 3/4" to the top of the table top. Is this everything that would make up an entire router table with the exception of the actual router? If so, can any router be used with this? BEST ANSWER: No, this does not include the table itself or the router. The pieces in the kit attach to a table to hold the wood firmly to the router bit so the cuts are better. No it does not. It is only three (3) feather boards and one(1) vacuum pick up attachment. 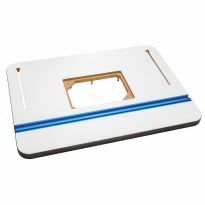 You still need a table surface, Stand, Router mounting plate. This is not a table. 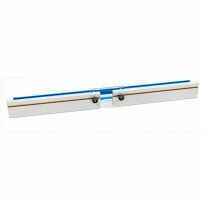 Only featherboards for holding workpiece in place. 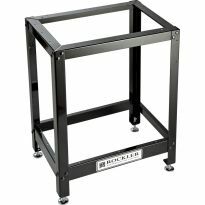 Is this item compatible with Rockler Convertible Benchtop Router Table Item #GRP40567 ? BEST ANSWER: The hold downs keep the work from squirreling around. I have used another table without them and i had to carefully hold the piece I was routing. Also the hold downs keep your fingers further from the bit and possible slips. Can router bit be changed from top of table through hole? BEST ANSWER: Yes, you'll have to raise the router to it's top and remove the table plate to get your wrenches to the shaft. Be sure to unplug the router before hand or be able to be sure it's not powered. Yes, if you have a router lift to lift the collet above the height of the table or angled collet wrenches. The track in my rocker table is not a t-slot just a square channel. Will it work? I have a Drill Master 1/4" router, will this work on this table? The fence featherboards, will they work in a 5/16 t-track? BEST ANSWER: The reference to 5/16 on the package is only for the bolt threads. 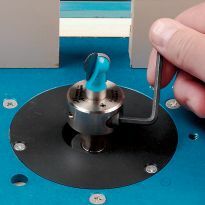 The actual head is a 1/2 x 3/4 oval shape designed for a standard rockler T-Slot. OK, I'm just beginning to use my router and am a real novice. Is this kit a complete table top that I would make a base for to use? BEST ANSWER: Hey Ted, I think this is a great set up and use it in my shop. I've built it into a cabinet in my cut line. David, Genesis Custom Builders, Inc.
is this a complete set? BEST ANSWER: 4-Piece Router Table Accessory Kit includes an easy-mount dust port, plus three featherboards for more consistent cut quality and to help prevent kickback. 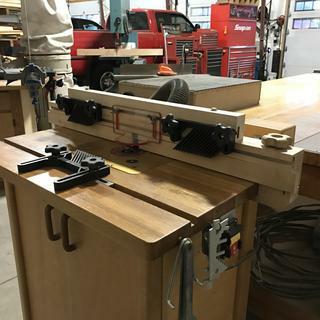 Two of the featherboards mount to the fence, exerting pressure down toward the table, while the third mounts to the table and keeps your work against the fence.Features: Dust port has a 2-1/2'' OD (2-1/4'' ID) hook-up Table mounted featherboard which fits miter slot openings of 3/8â€ deep x 3/4" wide, can be secured anywhere along the miter track with the twist of the knob Fence-mounted featherboards slip into the accessory T-track, and are easily adjustable without tools. will this work with 1/4" t track for bench dog router table? BEST ANSWER: Yes the two feather boards for the fence are setup for 1/4” t-track. Would this work on a Porter Cable router table? BEST ANSWER: I have a Rockler table, so I am not sure. But the featherboards are tightened into the miter slots with some latitude. I would double check on the width of yourvarious miter slots to be sure. The featherboards do their job on the two occasions I have used the kit. ("
Why can I not buy the dust port separately?